Secondary Inscription: (Recto) on a strip of paper attached to bottom of sheet, inscribed "D Vue de St pierre de rome... Tire du Cabinet de Monsieur le Marquis de Gouvernet,2," several undecipherable letters in brown ink. 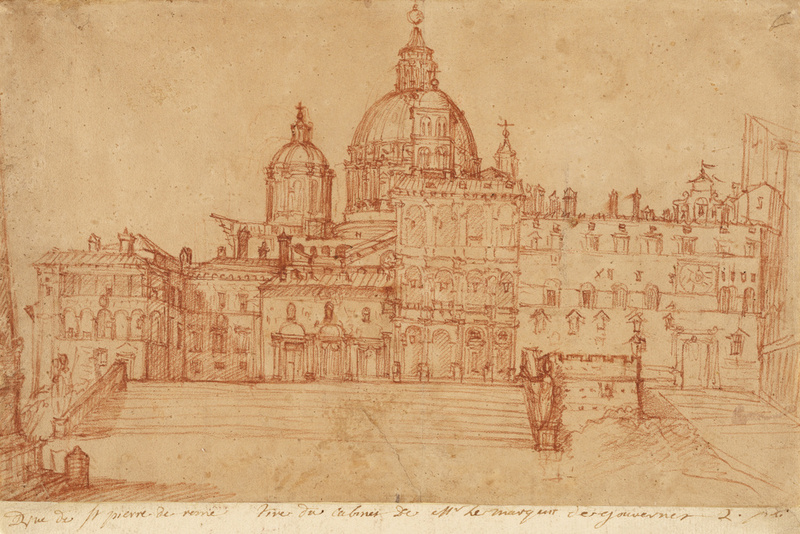 Using red chalk in a highly detailed manner, Federico Zuccaro depicted Saint Peter's Square in Rome as it appeared in 1603, with the Egyptian obelisk in place at the extreme left and the church dome complete. At the left, the archepiscopal palace adjoins the old facade of Saint Peter's basilica. In the center, the three-story benediction loggia begun by Pope Pius II in 1462 adjoins the loggia painted by Raphael, lightly sketched at the extreme right. The bastion for the papal guard protects the front of the Vatican entrance, and statues of saints Peter and Paul from the 1400s adorn the foot of the staircase. 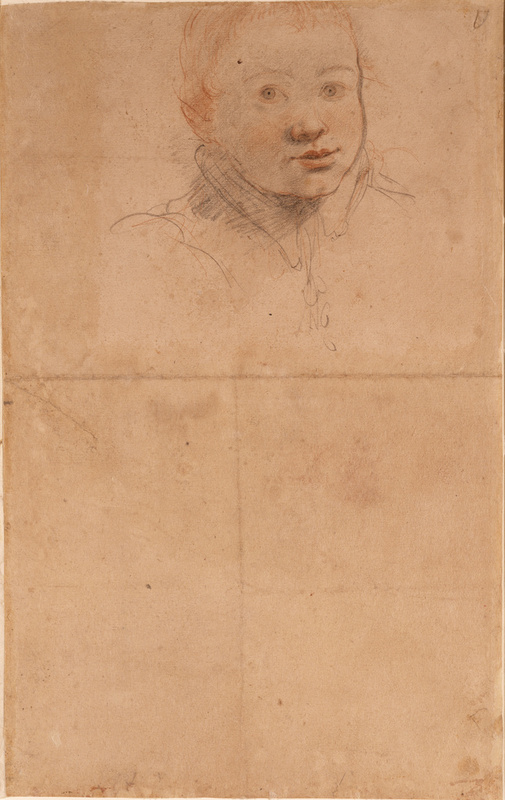 On the verso, Zuccaro drew a young boy with great intimacy, using the same medium--black and red chalk--and the same delicacy of touch seen in his other late portrait studies. Zuccaro's use of color was innovative: scholars recognize him as the first Italian of his time to combine black with red chalk, a technique practiced earlier by Hans Holbein.